Zach Peycha returned home inspired, enflamed by the message that Pope Francis had shared. Emma Murphy came back with an overwhelming feeling of hope for the power of faith to connect people. 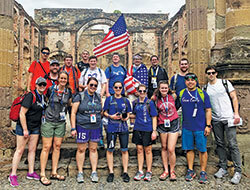 All three were among the 62 youths and young adults from the archdiocese who traveled to Panama City for World Youth Day on Jan. 27, joining more than 600,000 people from around the world. Here are some of the defining moments and lasting influences that members of the archdiocesan group experienced during World Youth Day. “One of the best moments during World Youth Day was being able to join the local Panamanians in welcoming Pope Francis as he journeyed in the popemobile through the city after arriving in Panama,” notes Mary Kate Shanahan, associate director of the archdiocese’s office of youth ministry. “Throughout the day, you could see locals camping out in folding chairs and umbrellas along the barricades marking their spots, hoping that they would have the chance to see the pope pass by. Against all odds, a few of us caught an Uber from an event on the opposite side of Panama City that dropped us off near our hotel within 15 minutes of Pope Francis passing by there. “At the vigil with Pope Francis, I stood in the middle of the large field where we had gathered and looked around at all the flags that pilgrims were carrying,” recalls Father Eric Augenstein, director of vocations for the archdiocese and pastor of Nativity of Our Lord Jesus Christ Parish in Indianapolis. “I could see flags from all corners of the world, from Nigeria to Greece, Japan to Argentina, Slovakia to Kuwait. I was struck with a profound sense of the universality of the Church—not just that people from all these countries had gathered together in one place to pray and encounter Jesus and one another, but also that the Church is present in all of these places. Mary Weckenbrock had a similar reaction on the night before Pope Francis celebrated Mass. That feeling was shared by Joe and Carrie Esposito, a young married couple from St. John the Evangelist Parish in Indianapolis who wanted to experience World Youth Day together. “Recent events have dampened the mood of the Church in the U.S., but the enthusiasm and energy we saw and felt in Panama ensured us that the future is still very bright,” says Joe, 27. Mark Zetzl of St. Gabriel the Archangel Parish in Indianapolis was touched by the message that Pope Francis shared with the young people during a Mass on Jan. 27. “Pope Francis’ words were that of joy, peace, happiness, hope and, above all, love,” says Zetzl, 30. “He spoke with an invigorating energy that ignited a fire within [people’s] hearts. One part of the pope’s message especially resonated with 18-year-old Zach Peycha, a member of St. Joseph Parish in Lebanon, Ind., in the Lafayette Diocese. The pope’s message also had an impact on Scott Williams, the director of the archdiocese’s office of youth ministry—especially when the pope shifted the focus of his words to how older people need to support younger people. 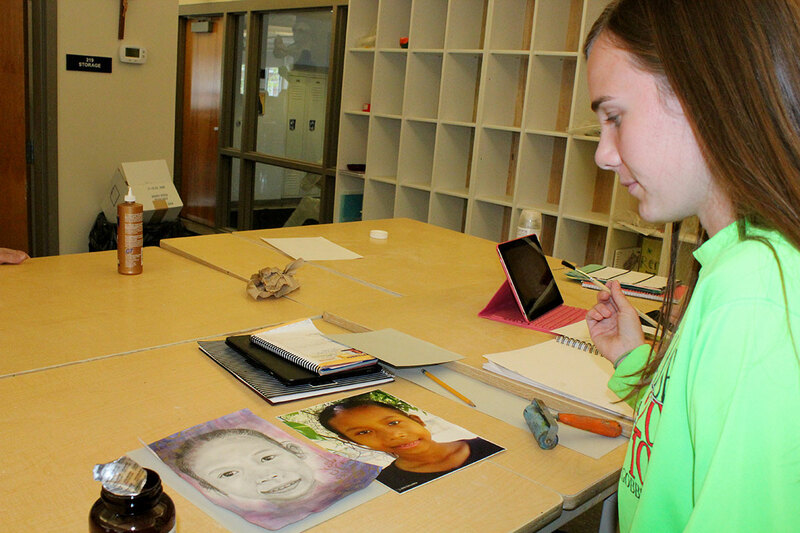 Where Williams found a challenge at World Youth Day, 18-year-old Emma Murphy discovered hope. Participating in World Youth Day reaffirmed Oscar Castellanos’ belief that the Church draws strength for its unity from its diversity. “Our faith is one in the Lord, but the diversity of expressions of the same faith—manifested in the different races, cultures and ethnic backgrounds—enhances and embellishes the same faith,” says Castellanos, director of the archdiocesan Office of Intercultural Ministry. For Madison Kinast, the lasting impression of World Youth Day was a message of finding love and harmony amid the differences that exist in the world. “At the sign of peace in Mass, you could shake hands with people from five different continents. Amazing!” says Kinast, associate director of the archdiocese’s office of young adult and college campus ministry. She notes how Pope Francis pointed out the differences among the crowd of 600,000—the different flags, languages, ethnicities and clothing. Yet, the pope said, true love doesn’t let differences separate people. Instead, it seeks harmony from the differences. “This was very timely and fitting for World Youth Day, but it also applies back home,” Kinast says.